Researchers at New York University (NYU) recently developed a new method for simultaneous measurement of 71 inorganic elements in liquids — including groundwater. The method, utilizing sequential inductively coupled plasma-mass spectrometry, makes element testing much faster, more efficient, and more comprehensive than was possible in the past. The NYU researchers studied samples of liquid from a variety of sources worldwide, including tap water from a New York City suburb, snow from Italy and Croatia, rain from Brazil and Pakistan, lake water from Switzerland and Croatia, and seawater from Japan and Brazil. Testing each sample results in a distinct elemental pattern, creating a “fingerprint” that can help differentiate between substances or trace a liquid back to its environmental origin. The method—developed by researchers at the isotope laboratory of NYU College of Dentistry and described in the journal RSC Advances, published by the Royal Society of Chemistry—may be used to explore and understand the distribution of inorganic elements beyond the few that are typically measured. It has implications for fields such as nutrition, ecology and climate science, and environmental health. An analytical technique called inductively coupled plasma mass spectrometry (ICP-MS) is used to measure elements. Historically, ICP-MS instruments have measured elements sequentially, or one by one, but a new type of ICP‐MS instrument at NYU College of Dentistry and roughly two dozen other places around the world has the potential to measure the complete range of inorganic elements all at once. “Because of this new method, our mass spectrometer can simultaneously measure all inorganic elements from lithium to uranium. We’re able to measure the elements in far less time, at far less expense, using far less material,” said Timothy Bromage, professor of biomaterials and of basic science and craniofacial biology at NYU College of Dentistry and the study’s senior author. This technological advancement may help to fill gaps in our understanding of element distributions and concentrations in substances like water. For instance, the U.S. Environmental Protection Agency monitors and sets maximum concentration limits for 19 elements in drinking water considered to be health risks, yet many elements known to have health consequences—such as lithium or tin—are neither monitored nor regulated. “The elemental mapping of concentration levels in bottled and tap water could help to increase our understanding of ‘normal’ concentration levels of most elements in water,” said Bromage. Bromage and his colleagues designed a method for using simultaneous ICP-MS to detect 71 elements of the inorganic spectrum involving a specific set of calibration and internal standards. The method, for which they have a patent pending, routinely detects elements in seconds to several minutes and in samples as small as 1 to 4 milliliters. In each sample,​ Bromage and ​his team found ​a distinct ​“​fingerprint”​ or elemental ​pattern, ​suggesting that ​samples can be ​recognized and ​differentiated ​by these ​patterns. The ​elemental ​content of ​water, for ​example, ​typically ​reflects its ​natural ​environment, so ​understanding ​the elemental ​composition can ​tell us if ​water had its ​origins from a ​source with ​volcanic rock ​versus ​limestone, an ​alkaline rock. Since the 2013 call for a review in the regulatory gaps surrounding the ability for enforcement on mismanagement of excess soils in Ontario, the Ministry of Environment (now called Ministry of Environment, Conservation and Parks – MECP) has tirelessly worked towards a proposed Excess Soil Regulatory package for Ontario. The efforts have included an unprecedented process of stakeholder listening sessions, consultations and engagement group meetings and inter-Ministerial reviews over the past 5 years. The proposed Excess Soil Regulatory Package was formed through 2 separate postings on the Environmental Bill of Rights (EBR) and is reportedly ready for Cabinet Approval. Further, the regulatory package is formulated with general overall acceptance by the construction and development industry in Ontario as well as the supporting industries (i.e., legal, consulting, laboratories) and municipalities. It is generally agreed that the proposed Regulation outlines possible opportunities for beneficial reuse with sustainable considerations (examples would be reduced truck traffic and reduced greenhouse gases creation). We are coming to understand that the current Conservative Provincial Government is strongly opposed to a majority of initiatives created by the previous Liberal Government. The Conservatives are in favour of the red-tape reduction, streamlining operations and fiscal responsibility. In fact, there is now a Deputy Minister of Red Tape and Regulatory Burden Reduction in the Ontario Cabinet. His job is to make Ontario “Open for Business.” Any new Regulation such as those being reviewed by MECP could certainly be viewed as counter-productive in terms of red-tape reduction. However, with the release of the Made-in- Ontario Environment Plan on November 29, 2018, it appears that Excess Soil Regulation will be enacted in some form in the not-to-distant future. There will no doubt be some changes to the proposed Regulatory package, but it is good to see that Regulation will proceed. To date, one of the biggest challenges that the enforcement regime of the Environment Ministry had was the gap in how excess soil (impacted with contaminants or not) could be classified as a “waste material” if it’s not managed properly or if it’s illegally dumped. We have all seen the extensive media coverage of a number of illegal dump sites, innocent property owners mislead on the quality of the fill they are accepting, and private air-fields who have capitalized on the regulatory gaps in Ontario where excess soil is concerned. Enforcement against illegal dumping or misrepresentation of the soil quality is not clear or easily achieved under the current Environmental Protection Act and regulations such as Regulation 347 (Waste Management). Minor amendments to Regulation 153/04 (Brownfields Regulation) have also been proposed to assist in streamlining and simplifying filing of Records of Site Condition and redevelopment of Brownfield properties. Further definitions of soil, waste and inert fill are also forthcoming in the new proposed Excess Soil Regulatory package. One of the main benefits of the proposed Excess Soil Regulation is the clarity it provides in the expectations of appropriate management of excess soil along with the steps that would be followed to provide the level of certainty that the public would expect. It puts a heavy onus on the generator of the excess soil (or the source site) to assess the quality against a set of new standards. The Standards were developed as a subset of the O. Reg. 153/04 Brownfield Standards, aimed at assisting in identifying acceptable and beneficial re-use of the excess soil. Beneficial reuse of excess soil has a strong consideration for soil quality in terms of chemical testing to assess for contaminants; however, Ontario soils are highly variable with respect to the geotechnical quality for engineered reuse (i.e., silt, clay, sands, gravels and poor quality mixed fill). 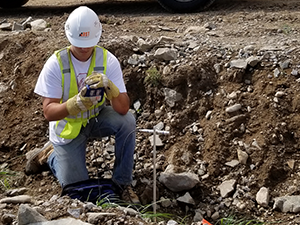 Recovered excess soil may require some screening/grading to classify the geotechnical qualities prior to identifying an appropriate engineered and beneficial reuse. Market-based solutions and opportunities for excess soil supply and demand services are sure to be identified as creative Ontarians have historically shown innovation in finding geotechnical solutions for excess soil. The new regulatory package allows for this to happen to the benefit of both sender and receiver parties. Increasingly, clients are also choosing to avoid moving soils by employing methods to limit or even eliminate the amount of soils that have to be moved from a poor fill site with things like landscaped architectural features or ground improvement to treat soils in place. Another benefit of the proposed excess soil regulation is the placement of the responsibility to ensure and “certify” the quality of the excess soil and the appropriate handling and re-use of the material by the source site or generator. This requires a shift in the thinking around management of any excess soil materials to be assessed and pre-planned at the beginning of a project, versus at the last minute and left to the excavation contractor, as has historically been done. The shift in thinking and pre-planning may take time, but with the assistance of the “Qualified Person” community in Ontario, the planning can be simplified. The industry is already starting to shift to a more responsible management of excess soils, with the knowledge of potential Regulatory changes. The proposed Excess Soil Regulatory package has a well-defined transition period of two full years to be fully enacted, giving the construction and development industry time to become used to the shift in thinking and pre-planning as well as the procurement groups to ensure that the appropriate assessment and characterization activities are completed. The benefits of many aspects of the proposed Excess Soil Regulatory package are clear and are desired in Ontario. The business community has hoped that the current Conservative Government in Ontario understands that the Excess Soil Regulatory package has been requested by the citizens of Ontario, and formulated through an exhaustive consultation and engagement of the various stakeholders in the Province. It has also been hoped that the current Provincial Government sees the value in many aspects of the proposed regulatory package for management of excess soils. With reference to Excess Soil Regulation in the Environment Plan, it certainly appears that the current Provincial Government does see the value. Further, the complimentary minor amendments to the soil and waste definitions are needed as are the proposed amendments to the Brownfield Regulation. Since the June 2018 election, the construction and development industries in Ontario have been patiently waiting for clarity on how the current Provincial Government plans to proceed. It is clear that this new legislative change will help to make Ontario open for business and it appears that the current Provincial Government agrees. We will now see what changes to the proposed Regulatory Package will be made, hopefully, sooner than later. 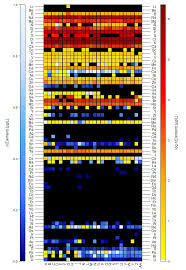 This article was first published in the Geosolv website. Grant Walsom, P.Eng., is a Partner at XCG Consulting Limited and recognized as a Qualified Person in Ontario under the Record of Site Condition Regulation (O. Reg. 153/04). He proudly serves on the Board of Directors at the Ontario Environment Industry Association (ONEIA) and the Canadian Brownfields Network (CBN). Grant can be reached at grant.walsom@xcg.com. http://hazmatmag.com/wp-content/uploads/2018/12/excess-soil-1.jpg 882 1330 hazzmatt1 http://hazmatmag.com/wp-content/uploads/2017/01/hazmat-logo.jpg hazzmatt12018-12-27 11:17:052018-12-27 11:17:12Is Ontario “Open for Business” when it comes to Excess Soil Management? The unintentional release of toxic chemicals can pose a wide range of physical, health and environmental hazards. And when it comes to the storage, handling or transport of hazardous materials (HazMat), safety is paramount. The US Environmental Protection Agency (U.S. EPA) defines HazMat as any substance that is potentially harmful to human health or the environment. While there are a multitude of precautions that industries will take to stay safe, in the event of accidental spillage due to a road traffic accident or as the result of an industrial incident, highly trained HazMat crews will be called on to mitigate the threat. In this article, we explore eight of the most common hazardous materials that first responders are likely to encounter in the event of an industrial accident or road transport incident. Refrigerated carbon dioxide is a colorless, odorless, non-flammable gas used to chill or freeze food products as part of the process of transport to market. Although non-toxic, when carbon dioxide displaces oxygen in confined spaces the carbon dioxide vapors can cause headache, nausea, dizziness or asphyxiation. And when carbon dioxide comes into contact with skin it can also cause severe burns. When responding to incidents where C02 is stored, firefighters need to be alert to the possibility of leakages. A low oxygen meter should be used to determine that an area is safe for occupancy. Chlorine is a key component in the production of key industrial and consumer products including the vast majority of pharmaceutical production and virtually all crop protection chemicals. It is a highly reactive and volatile substance, particularly when in the presence of heat, and is considered to be among the most dangerous of hazardous materials. Chlorine is classified as both a Toxic Inhalation Hazard (TIH) and a Poison Inhalation Hazard (PIH). Both the transport and storage of consumer fireworks pose a high fire risk. In the United Kingdom (UK), the physical movement (transfer) of explosives from one place to another (excluding those moved within a site) requires a Recipient Competent Authority (RCA) document. According to the UK’s Health and Safety Executive (HSE) a license is required from an appropriate licensing authority in order to be able to store explosives, however depending on their hazard type certain quantities of explosives can be kept for a short time without the need for a license. In the US, the Consumer Product Safety Commission (CPSC) has issued mandatory safety regulations for fireworks devices that are regulated under the Federal Hazardous Substances Act. Typical gasoline contains approximately 150 different chemicals including benzene, toluene, ethylbenzene and xylene. The highly flammable nature of gasoline, the ease with which it evaporates and its explosive potential in air, makes it a high exposure risk. Gasoline exposure can occur through the breathing of gasoline vapours, via the drinking of contaminated water or by coming into contact with contaminated soil. Gasoline should only be stored in approved containers and must not be handled near any ignition source. A refrigerated liquid, Argon is most commonly used in the production of fluorescent light bulbs and in welding. 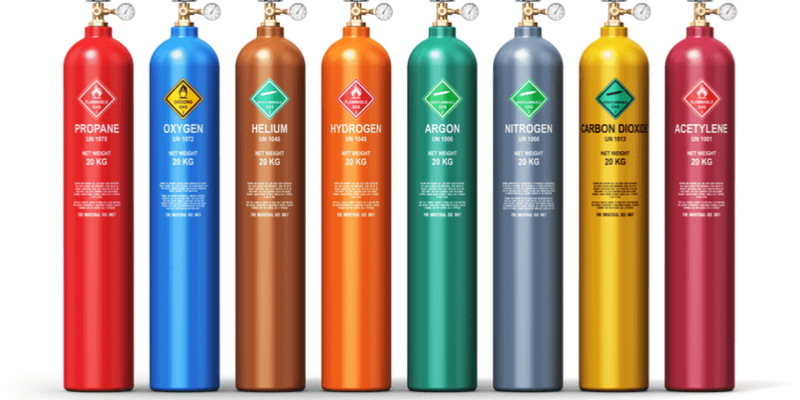 Argon is classed as neither flammable nor toxic, however it can cause significant tissue damage if it comes into contact with skin and it can be extremely harmful if inhaled. To avoid sudden releases Argon is transported in upright cylinders. Sulfuric acid (also known as “battery acid”, “hydrgen sulfate” and “oil of vitriol”) is one of the most important compounds in the chemical industry. The annual production of sulfuric acid worldwide has been predicted to hit 260 million tonnes by the end of 2018. It is a highly corrosive substance which is destructive to skin, eyes, teeth and lungs. Severe exposure can be fatal. Propylene is a volatile, flammable gas used as a crucial product in the petrochemical, packaging and plastics industries. It is often used in the place of propane in high-velocity oxygen fuel (HVOF) processes. Propylene gas poses a fire hazard when it is handled in the vicinity of any equipment capable of causing ignition. Comprising a combination of propane and butane, LPG is commonly used as both a fuel (to heat vehicles and appliances) and as a refrigerant. Its mixture of hydrocarbon gases poses a major fire risk which means it must be stored in pressured vessels. Toxic chemicals can pose a wide range of potential health and physical hazards to those employees operating within industrial plants and to the personnel charged with handling or transporting these substances. And as such they are heavily regulated. In the rare case of accidental release, the knowledge of HazMat crews can provide life-saving assistance in identifying the threat, containing the area and mitigating the effects of the incident. This article was first published on the Argon Electronics website. Steven Pike is the Founder and Managing Director of Argon Electronics, a leader in the development and manufacture of Chemical, Biological, Radiological and Nuclear (CBRN) and hazardous material (HazMat) detector simulators. He is interested in liaising with CBRN professionals and detector manufacturers to develop training simulators as well as CBRN trainers and exercise planners to enhance their capability and improve the quality of CBRN and Hazmat training. http://hazmatmag.com/wp-content/uploads/2018/11/pike.jpg 500 500 hazzmatt1 http://hazmatmag.com/wp-content/uploads/2017/01/hazmat-logo.jpg hazzmatt12018-12-27 10:04:262018-12-27 10:04:29What are the most common HazMat threats for first responders? On December 10, 2018, GFL Environmental Inc. was sentenced after pleading guilty in the Ontario Court of Justice to violating federal environmental legislation. The company was fined $300,000. The charges were laid January 2017 after inspectors determined that GFL had supplied tetrachloroethylene, also known as PERC, to nine dry cleaning operations in Toronto, Newmarket, Scarborough, Mississauga, Waterloo, London and Cambridge that had not adhered to containment measures required by law. According to an indictment filed with the court at that time, infractions noted by enforcement officers included inadequate wastewater containment systems and floor drain plugs that were not resistant to PERC. The company, along with president and CEO Patrick Dovigi, vice-president of sales and marketing John Petlichkovski, and Louie Servos, identified as a GFL employee, were each charged with 16 counts under the Canadian Environmental Protection Act, 1999, according to the indictment. The resolution presented in court on December 10th saw GFL pleading guilty to two counts. The remaining charges were withdrawn at the request of the Crown. After an investigation led by Environment and Climate Change Canada enforcement officers, charges were laid and GFL Environmental Inc. pleaded guilty to two counts of contravening the Tetrachloroethylene (Use in Dry Cleaning and Reporting Requirements) Regulations (SOR 203/79) under the Canadian Environmental Protection Act, 1999 for selling tetrachloroethylene, commonly referred to as “PERC” to owners or operators of dry-cleaning facilities that did not meet regulatory standards. GFL was fined $150,000 for each offence; the minimum fine for a first-time offender is $100,000. 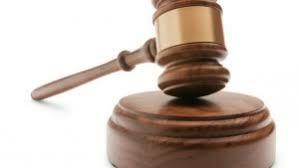 The Canadian Environmental Protection Act, 1999 allows courts to fine offenders up to a maximum of $4 million. SOR 203/79 prohibits anyone from selling tetrachloroethylene to dry cleaners unless the dry-cleaning facility is compliant with the equipment specifications set out in the Regulations, which aim to reduce releases into the environment. 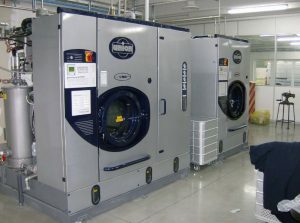 The Regulations are unique in that in places the onus of the seller of “PERC” to ensure that the buyer (typically dry cleaning facilities) have the proper equipment and training to prevent the release of PERC into the environment. Tetrachloroethylene, used commercially since the early 1900s, has been an important chlorinated solvent worldwide. Tetrachloroethylene is a colourless, volatile liquid with an ether-like odour. It is also commonly referred to as perchloroethylene or PERC. The most important routes of exposure to tetrachloroethylene for the general public are ingesting contaminated water and inhaling ambient air. Improper disposal and releases from dry cleaning facilities and landfills can lead to groundwater contamination and potential environmental exposures. PERC is a dense non-aqueous phase liquid (DNAPL), meaning that it is only slightly soluble and more dense than water. When released in the subsurface, it will migrate downward, adsorbing into soil particles, slightly dissolving into groundwater, and eventually making its way to bedrock where it will pool and continue to dissolve into the groundwater. 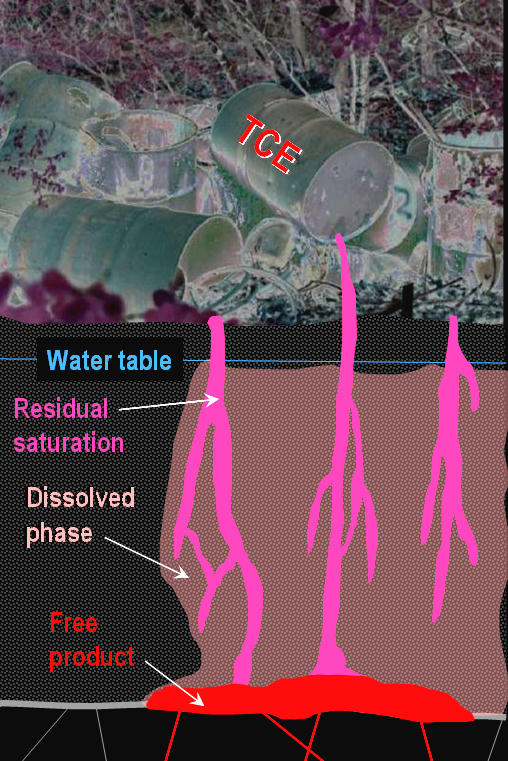 As a result, PERC is very difficult to remediate from the subsurface. As a result of this conviction, GFL Environmental Inc. will be added to the Environmental Offenders Registry. The $300,000 fine will be directed to the Environmental Damages Fund. The Environmental Damages Fund (EDF) is a specified purpose account, administered by Environment Canada, to provide a mechanism for directing funds received as a result of fines, court orders, and voluntary payments to priority projects that will benefit our natural environment. The Environmental Damages Fund (EDF) follows the Polluter Pays Principle to help ensure that those who cause environmental damage or harm to wildlife take responsibility for their actions. While regulations exist to guide HazMat training requirements for first responders, the reality is that many personnel still don’t consider themselves to be adequately skilled in the use of their equipment. Sometimes it’s because there simply isn’t enough time to carry out regular and structured training programmes. Sometimes this lack of preparedness comes as the result of budget cuts where training is one of the first things to go. 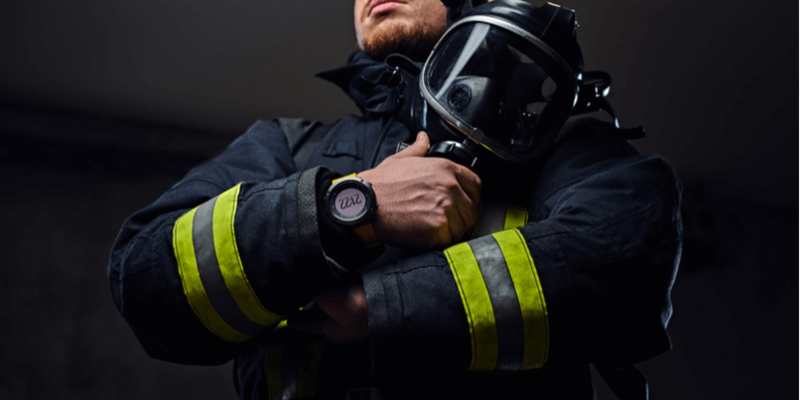 So says, independent CBRN consultant and subject matter expert, Debra Robinson in a white paper she has written which explores the subject of keeping first responders safe. As Debra explains, it’s not enough for a department to simply purchase a full array of safety and monitoring equipment. “Responders need to be thoroughly knowledgeable about the capabilities, limitations and applications and be proficient in the use of each piece of equipment, and that takes a great deal of training,” she says. It would seem too that smaller fire departments are often the ones losing out, with many volunteers not always being crystal clear on what their training requirements even entail. “Large city or larger communities with paid fire departments are far better off than the smaller departments. Some 70-80% of fire departments across the United States are manned by volunteers and many struggle to find volunteers to provide the services, let alone complete the requisite training,” she says. For those departments that do have training coordinators and solid programs in place,there is still the challenge of trying to deliver equipment training that provides the most realistic learning experience possible whilst also guaranteeing personnel safety. As Debra points out,the equipment that is used to detect, identify and measure hazardous materials can often involve significant risk, even in the presumed safety of a training environment. Some trainers may still defer to more traditional HazMat training methods – such as the use of powerful simulants that closely mimic the properties of chemical materials. But many of these simulants can be hazardous in their own right,even in the smallest and most controlled of quantities. In recent years, Debra explains, there’s been more of a move towards the use of training simulators which rely on specific frequencies and technologies to replicate the effects of actual, chemical, radiological and biological materials. Simulators have developed a strong reputation for their abilities to facilitate hands-on training that can simply not be achieved with live agent training methods. Live agents by their nature carry an extreme level of inherent risk – something that is eliminated through the use of simulator equipment. As Debra highlights, having the opportunity for some “serious hands-on time with the equipment” is another major plus for trainees, where repetition is the key to successful learning. As Debra argues, it can be easy for political or government leaders to dismiss the need for investment in CBRNe and HazMat training – and particularly when budgets are tight. 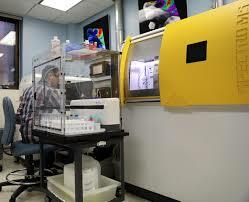 Bu the risk to communities from chemical, biological or radiological threat is very real. While this may come in the form of terrorist threats, there is also the much greater risk of hazardous materials that exist in our communities’industrial plants, hospitals and businesses. Debra Robinson is founder of 2o8 Consulting & Solutions, based in Lincoln, Nebraska. She provides consulting and SME services in chemical, biological, radiological, and nuclear (CBRN) and Emergency Management preparedness across a diverse range of platforms and industries. This article was first published in Argon Electronics website. Steven Pike is the Founder and Managing Director of Argon Electronics, a world leader in the development and manufacture of Chemical, Biological, Radiological and Nuclear (CBRN) and hazardous material (HazMat) detector simulators. What happens when one company acquires the assets of another, then—many years later—receives a demand to participate in the clean-up of a contaminated site based on the acquired company’s long-ago shipment of materials to the site? As a general rule, the buyer of assets in an asset acquisition does not automatically assume the liabilities of the seller. However, under the doctrine of successor liability, a claimant may be able to seek recovery from the purchaser of assets for liabilities that were not assumed as part of an acquisition. This claim may be employed in cases involving environmental liabilities, especially when the original party is defunct or remediation costs are greater than the original entity’s ability to pay for the cleanup. Courts have taken different positions on whether state law or federal common law governs the determination of successor liability for claims under the Comprehensive Environmental Response, Compensation, and Liability Act (“CERCLA”), known also as Superfund. This distinction may have little practical effect because federal common law follows the traditional state law formulation. Notably, though, when evaluating successor liability under federal law, and specifically environmental laws like CERCLA, the doctrine may be more liberally applied because of policy concerns about contamination. (1) the successor expressly or impliedly agrees to assume the liabilities; (2) a de facto merger or consolidation occurs; (3) the successor is a mere continuation of the predecessor; or (4) the transfer to the successor corporation is a fraudulent attempt to escape liability. K.C.1986 Ltd. P’ship v. Reade Mfg., 472 F.3d 1009, 1021 (8th Cir. 2007) (citing United States v. Mex. Feed & Seed, Co., Inc., 980 F.2d 478, 487 (8th Cir. 1992)). A fifth exception, the substantial continuity exception, is a broader standard, but most circuit courts do not apply it in CERCLA cases. Exception 1, express or implied assumption, must be analyzed in terms of the specific asset agreement in question. Exception 4, fraud, is generally employed in circumstances where the acquired company shifts its assets to avoid exposure to another entity. Given the high stakes that can be involved with CERCLA cleanups, assessing prospects for applying the successor liability doctrine could be an important part of the liability analysis. See, e.g., James T. O’Reilly, Superfund and Brownfields Cleanup § 8:16, at 360 (2017-2018 ed.) [hereinafter O’Reilly] (“Mergers, sales of assets, and changing corporate names does not remove potential CERCLA liability.”). See O’Reilly § 8:16; see also, e.g., In re Acushnet River & New Bedford Harbor Proceedings re Alleged PCB Pollution, 712 F. Supp. 1010, 1013-19 (D. Mass. 1989) (in the CERCLA context, concluding that successor liability applied where there would be “manifest injustice” if one of the companies could “contract away” liability for PCB contamination). See Action Mfg. Co. v. Simon Wrecking Co., 387 F. Supp. 2d 439, 452 (E.D. Pa. 2005). See, e.g., Eagle Pac. Ins. Co. v. Christensen Motor Yacht Corp., 934 P.2d 715, 721 (Wash. Ct. App. 1997). This exception is rarely used. Restatement (Third) of Torts:Prod. Liab. § 12 cmt. e (Am. Law Inst. 1998). See, e.g., Oman Int’l Fin. 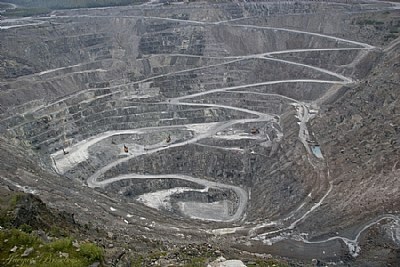 Ltd. v. Hoiyong Gems Corp., 616 F. Supp. 351, 361-62 (D.R.I. 1985). Asarco, LLC v. Union Pac. R.R. Co., No. 2:12-CV-00283-EJL-REB, 2017 WL 639628, at *18 (D. Idaho Feb. 16, 2017). United States v. Mex. Feed & Seed Co., 980 F.2d 478, 487 (8th Cir. 1992) (quoting Tucker v. Paxson Mach. Co., 645 F.2d 620, 626 (8th Cir. 1981)). This article was first published on the Cohen & Grigsby website. Julie counsels and represents clients in a range of environmental and litigation matters. She assists clients with day-to-day environmental compliance concerns and provides enforcement defense counseling, particularly with solid waste and groundwater issues. 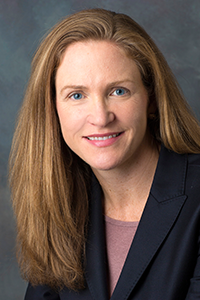 Her extensive background in CERCLA matters includes serving as legal counsel for clients involved in remediation initiatives at complex Superfund sites as well as litigating cases through multiple phases, including discovery, allocation negotiations, and alternative dispute resolution. Julie’s litigation practice encompasses not only environmental matters, but also insurance coverage actions and other commercial and business disputes. Englobe Corp. (“Englobe”), a Canadian-based company specializing in Soils, Material and Environmental Engineering, with an established network of more than 55 offices and 30 laboratories across Canada, recently acquired DST Group Inc. (“DST”). DST is a consulting engineering firm founded over 60 years ago with more than 165 employees and nine offices across Ontario and Western Canada. By joining forces, Englobe and DST increase their footprints with 14 offices and 350 staff in Ontario and nearly 160 staff across six offices in Western Canada. Both companies will be well positioned to offer complementary services and expertise to each other’s clients in both geographical areas, including municipalities, provincial and federal governments, and private sector clients. “DST shares the same important values as Englobe – focusing on our employees, offering innovative solutions to our clients and emphasizing high-quality project management. We are very happy to have found a partner in Englobe with whom we can build upon our mutual strengths and provide exciting new opportunities to both employees and clients. Our enhanced service offering in the regions will benefit clients nationwide,” says Maurice Graveline, former CEO of DST and new Vice President Operations Ontario at Englobe. In November, Englobe Corp eacquired McIntosh Lalani Engineering Ltd, a Calgary-based consulting engineering business specializing in geotechnical engineering and materials testing services. McIntosh Lalani, established in 1997, will continue to operate under its existing name. Englobe is backed by ONCAP, the mid-market investment arm of Canadian private equity firm Onex Corp. ONCAP invested in 2006 and later partnered in Englobe’s acquisitions and go-private deal in 2011. About Englobe Corp. and DST, a division of Englobe Corp. The Canadian National Capital Commission recently award contracts to a number of environmental consulting firms to conduct environmental assessment of contaminated sites in Ottawa. A number of firms were awarded contracts of $833,333 for providing contaminated site assessment services. The firms were DST Consulting Engineers Inc., Geofirma Engineering Ltd., GHD Ltd., Golder Associates Ltd., SNC-Lavelin Inc., and Terrapex Environmental Ltd. 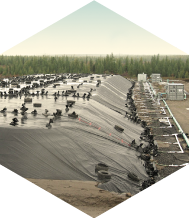 Provide long-term management strategies for complex contaminated sites. The NCC has a number of development and rehabilitation projects underway in Ottawa including the redevelopment of LeBreton Flats, a property just west of Parliament Hill in Ottawa. The property is contaminated from historical industrial activity and must be remediated before it can be redeveloped into a commercial and residential community. In the past, the NCC spent $6.7 million to decontaminate the soil on a 5.7-hectare site. The process involved removing and remediating 110,000 cubic metres of soil. With the current area awaiting remediation being just over three times that size at 21 hectares, RendezVous LeBreton, the development company that is partnering with the NCC to develop the site, has a considerably larger and undoubtedly more expensive amount of soil to remediate. As of the Spring of 2018, the total cost of the soil decontamination at LeBreton Flats is undetermined at this time, but is estimated to be around $170 million, according to RendezVous LeBreton Group. Environment and Climate Change Canada, along with Health Canada, published the Prohibition of Asbestos and Products Containing Asbestos Regulations in the Canada Gazette, Part II on October 17, 2018. These new regulations apply to any person who manufactures, imports, sells or uses asbestos or products containing asbestos. In addition to these regulations, the existing Export of Substances on the Export Control List Regulations (ESECLR) and Schedule 3 to the Canadian Environmental Protection Act, 1999 were amended to prohibit exports of asbestos, with a limited number of exceptions. These provisions ensure that Canada continues to meet its export obligations under international conventions, including the Rotterdam Convention. The regulations and related amendments to the ESECLR come into force on December 30, 2018. This article is republished and first appeared on the Manning Environmental Law website. 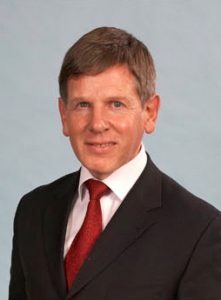 Paul Manning is the principal of Manning Environmental Law and an environmental law specialist certified by the Law Society of Upper Canada. Paul has been selected as one of the world’s leading Environmental Lawyers by Who’s Who Legal: 2016. Paul advises clients on a wide range of environmental law issues and represents them as counsel before tribunals and the courts. His practice focuses on environmental, energy, planning and Aboriginal law. Paul holds a Masters degree in Environmental Law and obtained an accreditation in the UK as an expert in Planning Law. He is on the Executive Committee of the National Environmental, Energy and Resources Law Section of the Canadian Bar Association. Paul has a special interest in renewable energy and climate change regulation and holds a Certificate in Carbon Finance from the University of Toronto. The Ontario Ministry of Environment, Conservation, and Parks (MOECP) publishes publishes an annual report on environmental penalties issued in the previous calendar year for certain land or water violations for companies subject to the Municipal Industrial Strategy for Abatement (MISA) Regulations. Companies subject to the MISA Regulations belong to one of the nine industrial sectors found in the Effluent Monitoring and Effluent Limits (EMEL) regulations. The summary report for 2017 was published in the Spring of 2018. Under the MISA Regulations, environmental penalties can range from $1,000 per day for less serious violations such as failure to submit a quarterly report under the MISA Regulations to $100,000 per day for the most serious violations, including a spill with a significant impact. not less than $100,000 and not more than $10,000,000 on each subsequent conviction. In the past, Ontario Environment Ministry would publish a more comprehensive environmental enforcement report that covered all penalties, fines and convictions. In a 2011 blog, Diane Saxe, Ontario’s former Environmental Commissioner and former partner at Siskinds Law Firm, wrote that a typical year, the Ontario Environment launches about 150 to 175 prosecutions. About 75% of them are resolved by guilty pleas; about 5% are acquitted at trial; about 10% are convicted of something at trial; about 10% are withdrawn. As the end of the calendar year approaches, the staff at Hazmat Management Magazine thought it would be useful to review some of the more significant environmental convictions related to contaminated property. That summary can be found below. In the Spring, an Ontario-based consulting firm that provides environmental, geotechnical, and hydrogeological consulting services was convicted when an employee falsified Environment Ministry Letters of Acknowledgement to Records of Site Conditions (RSCs) for two properties. An RSC is a statement on the environmental condition of a property and is typically a requirement by a municipality if a contaminated property is remediated and a redevelopment is proposed that involves a more sensitive land use (i.e., from industrial to residential). The environmental consultant that performed the environmental site investigation at the site (a Phase I ESA and possibly a Phase II ESA) submits an RSC to the Environment Ministry. The Environment Ministry issues an acknowledgement of the RSC. The offences occurred in the Spring of 2014 and winter of 2015. When the Consulting firm realized one of its employees had issued falsified documents related to the RSCs it immediately informed the affected owners of the related properties. In the Fall of 2015, an owner/developer of another construction project in the Greater Toronto Area notified the ministry of concerns relating to their RSC submissions of which the consulting firm in question was involved. At that time, the Environment Ministry commenced an audit and investigations. The consulting firm was found guilty of one violation under the Environmental Protection Act (EPA), was fined $35,000 plus a Victim Fine Surcharge (VFS) of $8,750, and was given 30 days to pay. On the same date, former employee was found guilty of two violations under the EPA, was fined $15,000 plus a VFS of $3,750, and was given 18 months to pay. In the winter, a Muskoka homeowner was convicted for discharging fuel and other petroleum hydrocarbon into a water well which can impair the quality of the water. He was fined $30,000 plus a victim surcharge with 6 months to pay . The conviction stems from an incident that occurred in the spring of 2016. On May 16, 2016, the homeowner of a cottage on Lake of Bays poured heating fuel oil down a neighbor’s well, damaging the quality of the water in the well. The incident was referred to the Environment Ministry’s investigations and Enforcement branch, resulted in charges and one conviction through a guilty plea. In the winter, a homeowner in Guelph was convicted of failing to apply with two provincial officers orders issued under the environmental protection act (EPA) . The homeowner was fined $3,000 plus a victim fine surcharge of $750 and was given 15 days to pay the fine . The violation occurred in 2013 when the homeowner bought a residential property in Guelph , which earlier had been contaminated with oil fuel from a historic spill at the property . In the December of 2014, the homeowner put the residence up for sale. The Environment Ministry subsequently received a complaint that the house was up for sale but had not been adequately remediated. During the course of its investigations, the Environment Ministry found the previous owner had claimed the property had been remediated but discovered that no remediation had been conducted. An Order was issued by the Environment Ministry for all documentation related to any remediation at the property to be submitted. Despite providing an extension on a submission date, the not information was provided to the Environment Ministry. The incident was referred to the ministry’s Investigations and Enforcement Branch, resulting in charges and the conviction against the property owner. In the winter, a business located in the County of Essex and its owner was convicted of three offences under the Environmental Protection Act( EPA) and was also fined $30,000 for discharging dust that cause and was likely to cause an adverse effect, and being deposited at a property that is not allowed nor an approved waste disposal site. 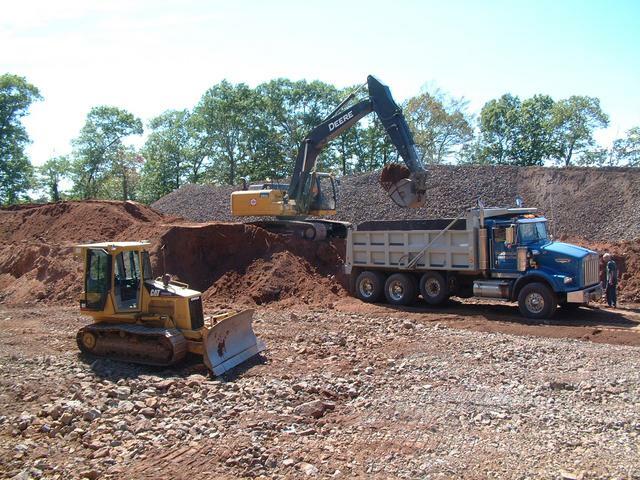 A business owner in Essex County accepted 189 truckloads of construction waste in 2014 despite the fact that property was not approved as a waste disposal site. In 2015, the business owner was operating a farm tractor to turn soil at the site. The operation resulted in the release of plumes of dust which adversely affected nearby residents and their properties . The incident was referred to the Environment Ministry’s Investigations Branch.